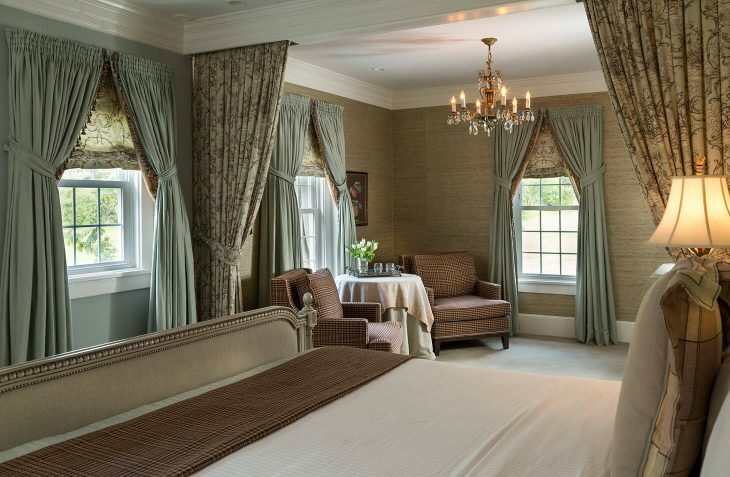 This spacious suite features carefully chosen antiques with a decidedly French feel. 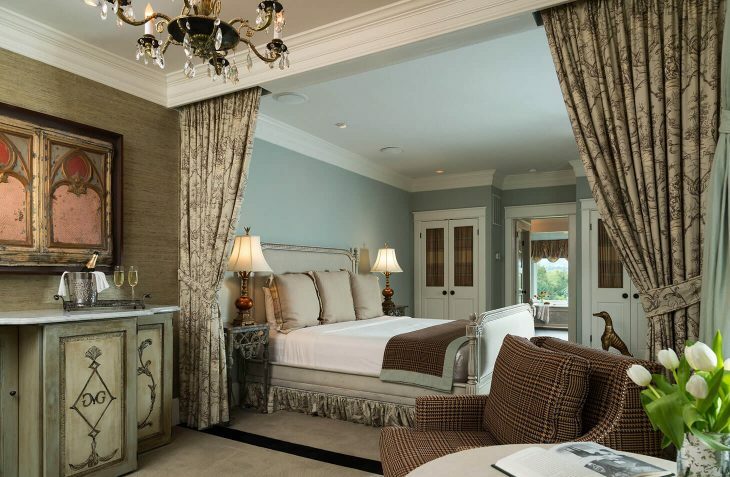 A beautiful toile porter separates the sitting area from the king size bed. 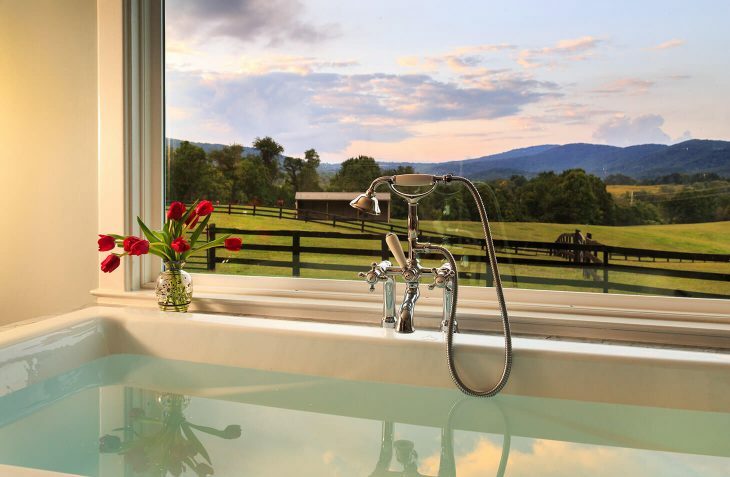 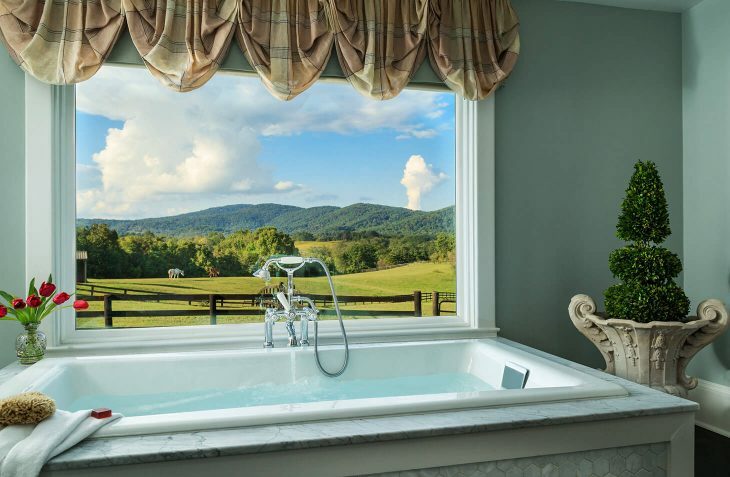 The lavish bathroom features a bidet, twin pedestal sinks, a separate two head shower and a relaxing soaking tub with views of the horse paddocks and mountains. 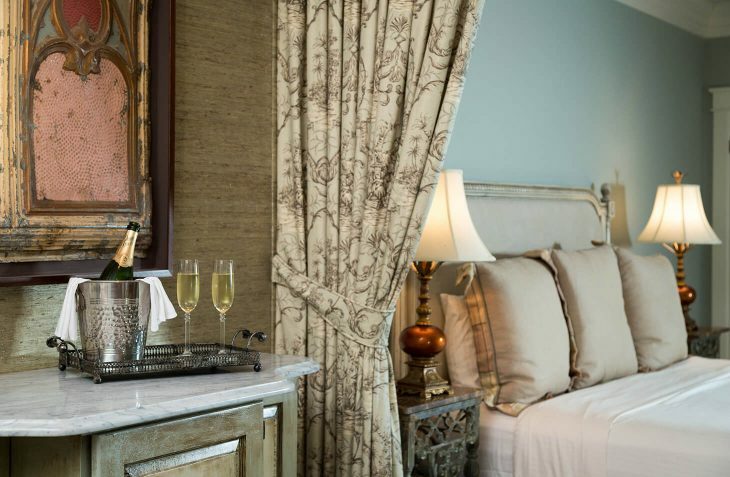 588 square feet.